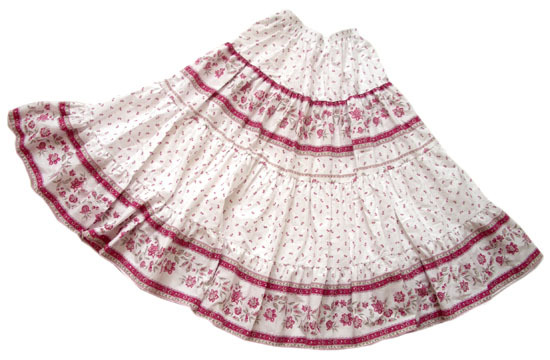 Provence tiered skirt, long (Castellane. 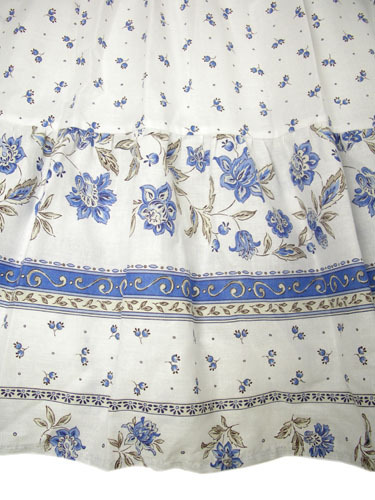 white blue) : Provence Decoration, The Provence tablecloths and products online shop from Nice - France, worldwide delivery. 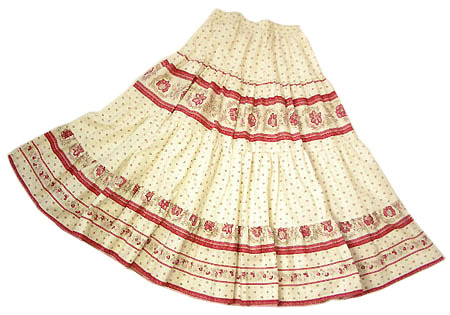 Typical Provencal tiered skirt with elastic at the waist. 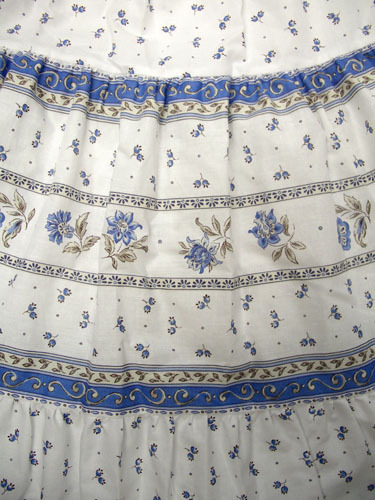 This Provence pattern skirt is feminine and colorful. 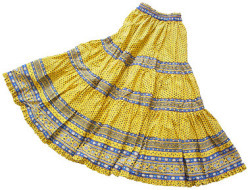 To wear for a trip, you can also use it as a dance costume. The skirt is made of 4? pieces of switching fabrics. 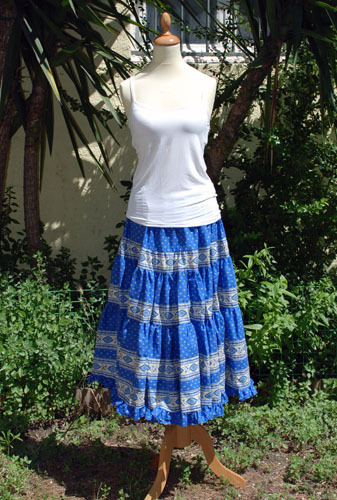 Sewn in the atelier of a Provence product lover artist, this skirt is really well finished. 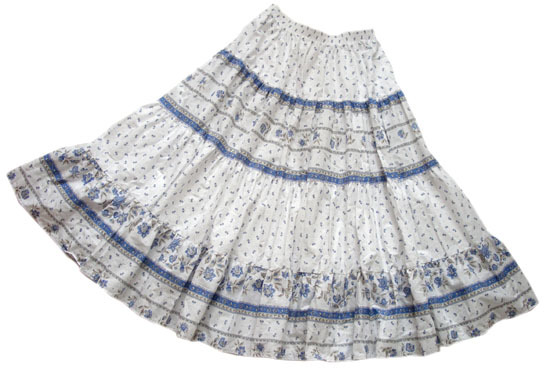 Strong persons can wear this skirt without breaking the line. Free Size. Rubber tape in the waist. 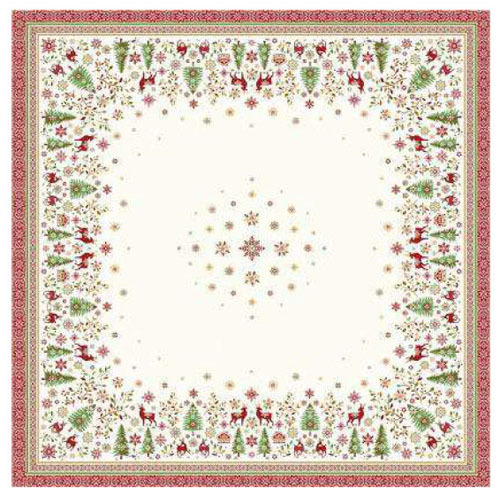 In autumn, I would recommend a combination with boots! long, non stretched: approx. 88cm = 34.6". One size fits all. 59 to 110 cm = 23" to 43"